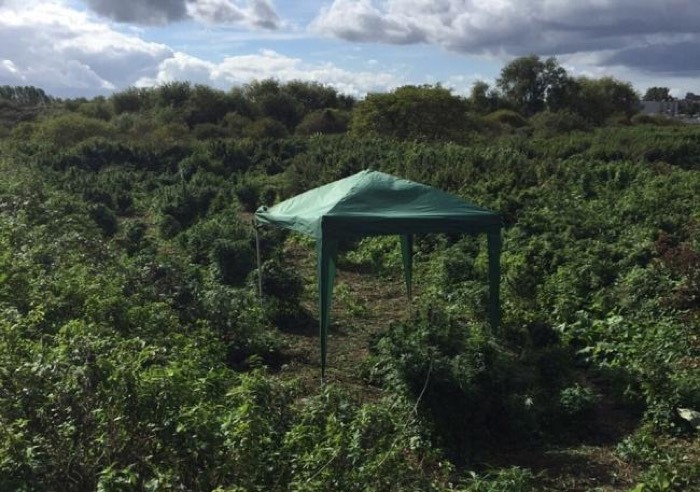 Police have discovered one of the largest open-air cannabis farms in criminal history, described by detectives as ‘a forest larger than a football pitch‘. Officers were alerted by a member of the public who spotted the plantation of class-B drugs on disused private land close to Kingston-upon-Thames, south west London. 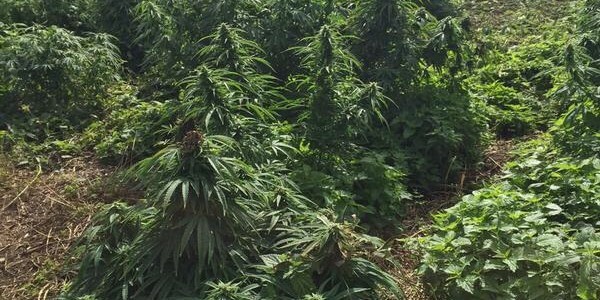 Images posted by police showed dozens of the mature marijuana crops, some as tall as the responding officers. It is thought that there may have been as many as 150 plants on the site. The area is concealed from view by a river, a railway line and a vast water treatment works. It appears that criminals may have chosen the site not just because of its inaccessibility but also for the nauseous smell of the sewage works which would help to mask the distinctive smell of the plants. 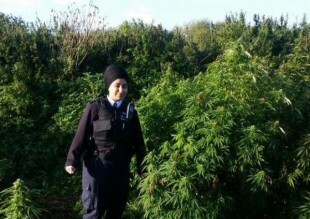 PC Sarah Henderson, of Kingston police, said: “The area these plants were growing on was the size of a football pitch, it looked like a small forest of Christmas trees and was complete with a gazebo . Only three weeks away from harvest. 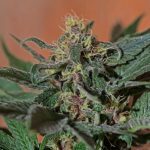 As you can see on the pictures, the sativa plants of cannabis were about three to four weeks away from harvest estimated in the northern hemisphere by mid to end of October. 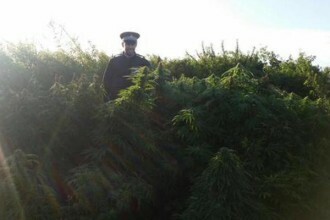 It is a lost of about 21 kg of dry cannabis buds for the illegal gardeners with a street value of £160,000. This entry was posted in All about cannabis and tagged cannabis field, Kingston upon Thames, london, outdoor, police, uk. Bookmark the permalink.